Serious about sport? Not in here. Shape up by laughing very hard. Q. How did the football pitch end up as a triangle? A. Somebody took a corner! Q. Why couldn’t the bicycle stand up? A. Because it was two tyred! 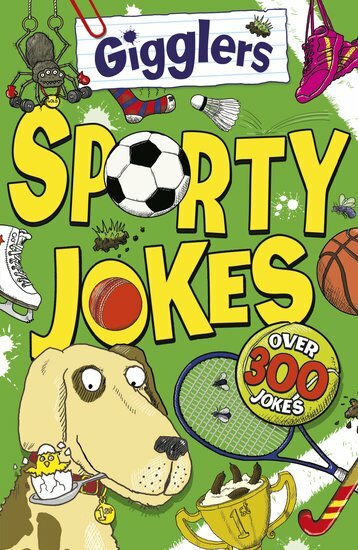 Over 300 totally daft jokes about your favourite sports, written by the author of the Cut the Rope joke book. (Who just happens to be neighbours with an actual clown.) Football, cricket, swimming, hockey, golf. Tear up your PE sick note: sports have never been this silly. This is awesome! I dare you to buy this book now. Sharp! Right now! I mean it!